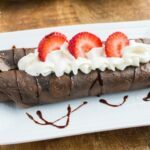 These delicious Chocolate Crepes topped with fresh strawberries, whipped cream and drizzled with chocolate syrup are perfect for a decadent breakfast, brunch or dessert! 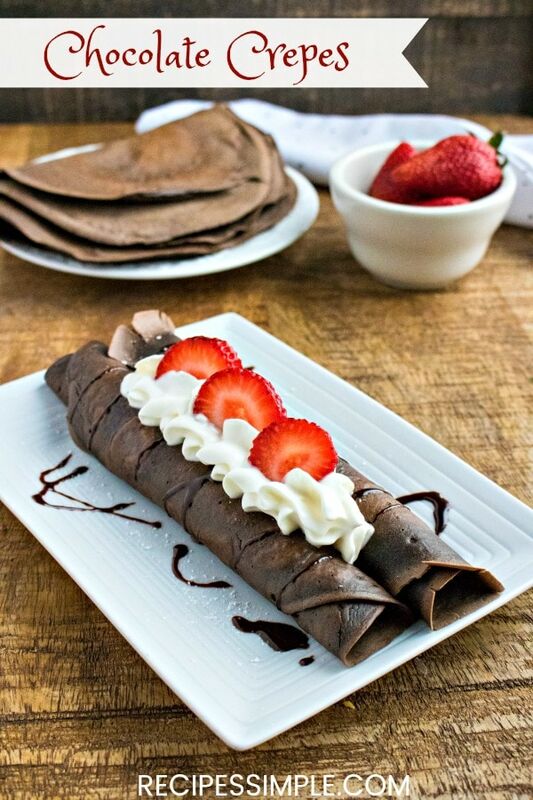 A crepe is a light, thin pancake usually served rolled or folded with a variety of fillings and toppings. 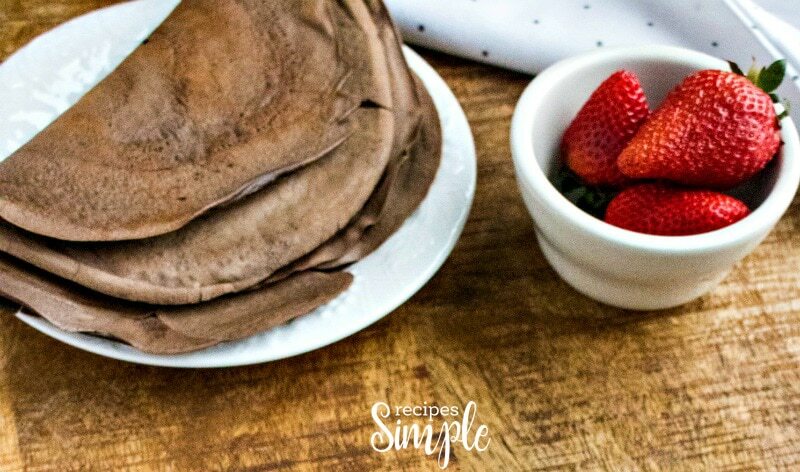 Get a little fancy and serve these Chocolate Crepes for a special weekend brunch or an extra special breakfast for mom on Mother’s Day. 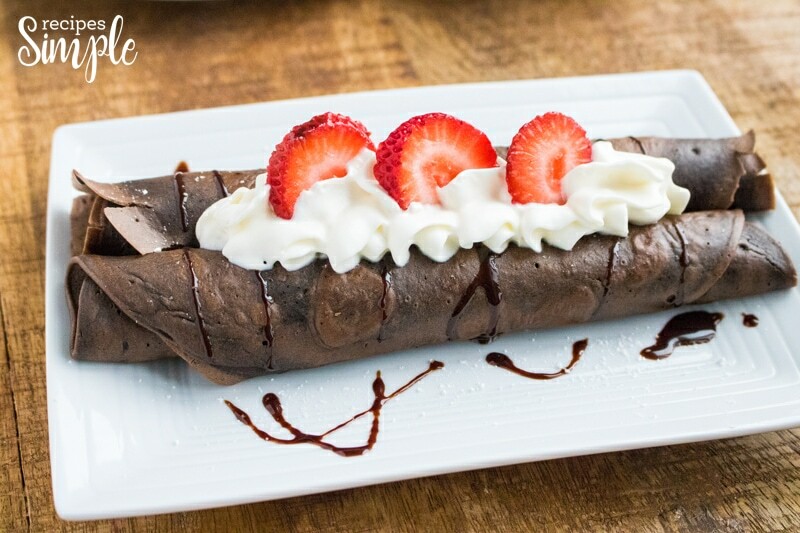 We love them for dessert. 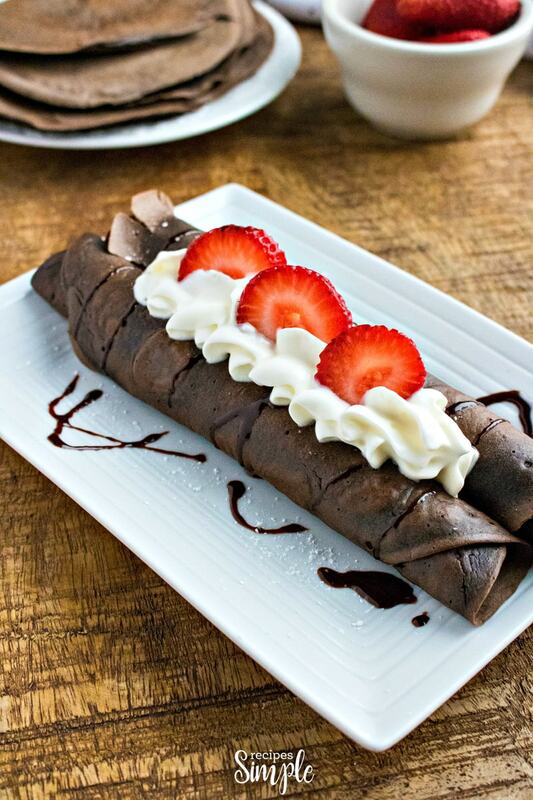 You can’t beat the flavors of chocolate and strawberries! 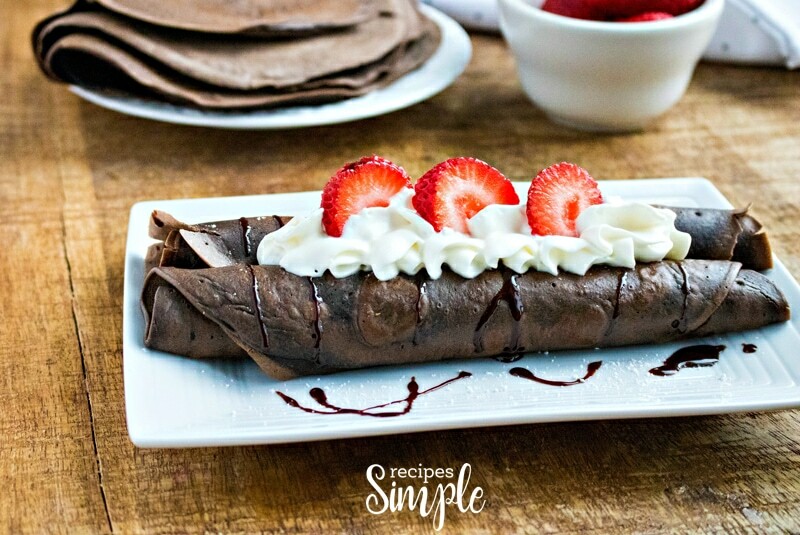 One of the things I like about these Chocolate Crepes is they are so versatile. You can make them different every time. You can add your favorite filling or top them with your favorite toppings. With so many different combinations of flavors, these never get old! This is my favorite flavor combination to make. Anything with chocolate, strawberries and whipped cream makes me happy. So good! Topping Ingredients: Powdered sugar, strawberries, whipped topping, chocolate syrup. 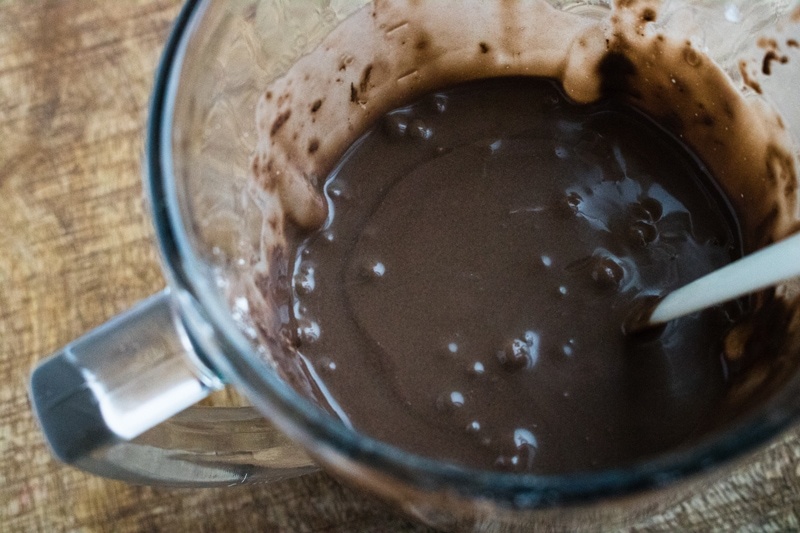 Blend the first 9 ingredients together in blender to make the batter. After you blend the batter let it rest for about 10 minutes to allow some of the bubbles to settle in the batter. 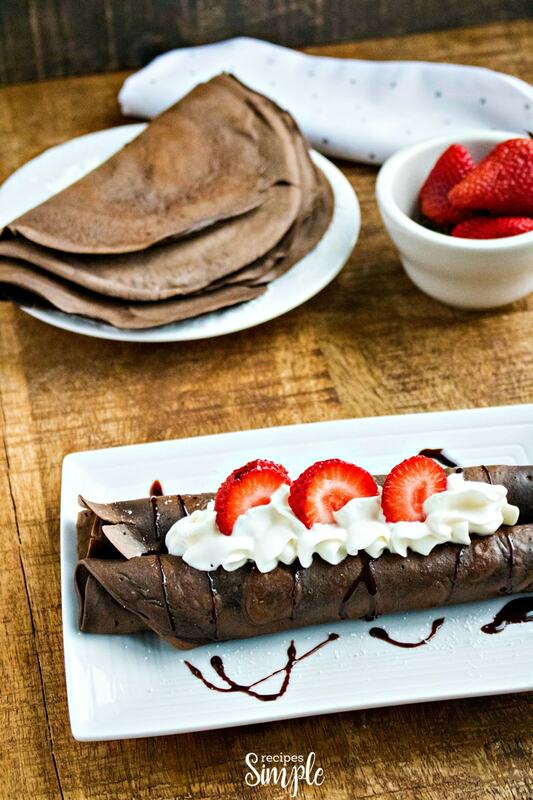 The smoother the batter is, the thinner and better the crepes will be. Pour batter into pan, about 3/4 cup for an 8-inch pan. Pick up pan from the burner and tilt to spread the batter around the bottom of the pan. Moving it in a circular tilting fashion will spread the batter out evenly. Batter should go to the ends of the bottom part of the pan. Butterscotch Morsels and bananas with whipped cream. Nutella and bananas with whipped cream. Raspberry and cream cheese filling. Filled them with sliced bananas and drizzle with caramel sauce and powdered sugar. 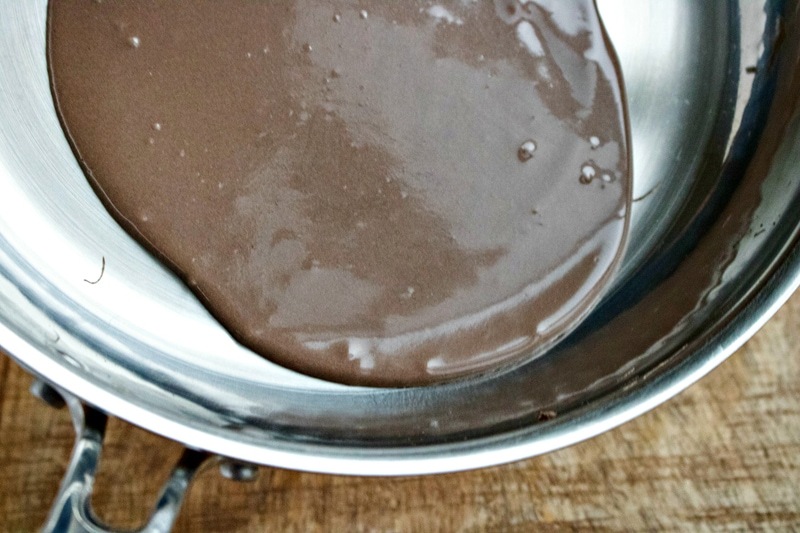 Blend the first 9 ingredients together in blender to make the batter. Let the batter rest for about 10 minutes.